Since I've never been a fan of the color black, I hardly wear it. I'm much more fond of dark blue and navy colors. MUCH more, to say the least: I wear blue predominantly... Everybody has a favorite color for a reason, right? 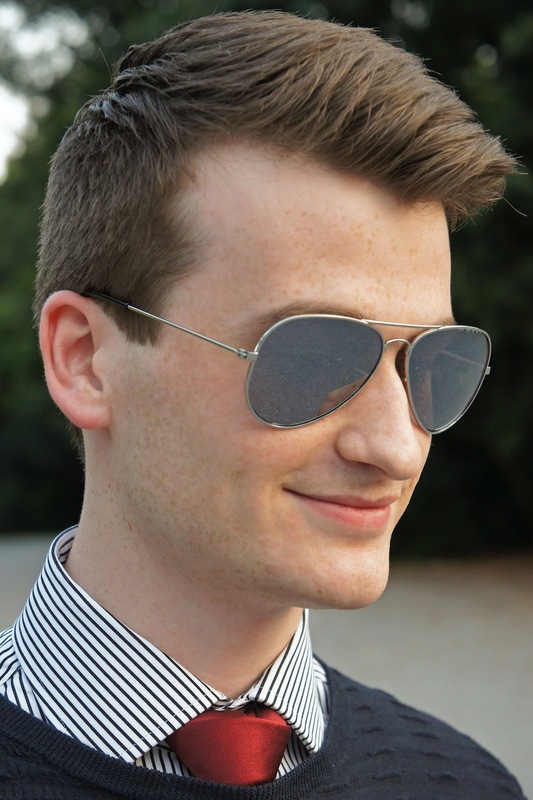 I was wearing sunglasses by Selected, a striped (black stripes) shirt of Polo Ralph Lauren with a burgundy tie from Zara and a ribbed sweater of Emporio Armani. The belt is Louis Vuitton, suit pants from Zara and the derby shoes I bought on ASOS.